Are you a Fitspiration (that’s “fit inspiration”, for those not yet in the know!) like Felicia Chan? Not only are you sociable, you make sure your pet is honing their social skills as well. Some 21% of pet owners bring their pets out for social events and gatherings, mostly during the weekend, as frequently as once a month. You want your pet to look paw-some! Trips to the groomer are common. Some 47% of pet owners bring their pets to the groomer, with over half of them on a monthly basis. Trips to the park are important to you and your pet. About 42% of pet owners bring their pets to the park weekly. *Grab survey data question allowed for multiple answers, in response to where owners bring their pets out. Here’s something else we found out: 9 out of 10 pet owners surveyed said that they would use a pet-friendly ride-hailing service. Out of these pet owners, almost 9 in 10 (86%) do not own a car. 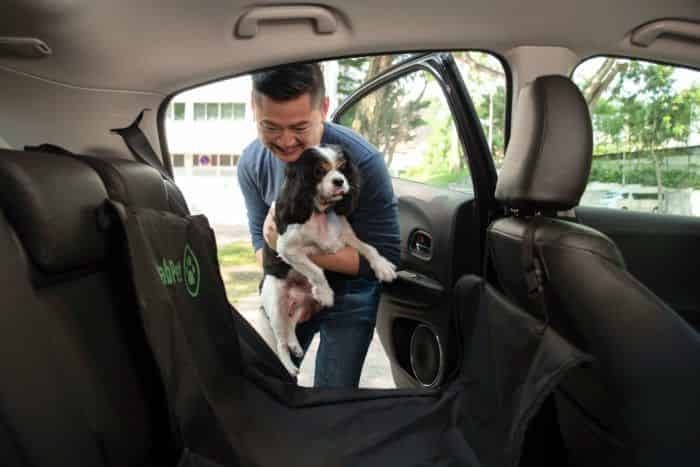 This data, and your feedback, played a significant role in our decision to roll out GrabPet, a new on-demand service to get you and your pet around comfortably and conveniently. At Grab, we have a rigorous process to find out what our users really want and need. In this case, your feedback also helped us shape the GrabPet service. For instance, in the same survey, we found that more than 1 in 2 pet owners have dogs (53%), while just under half of pet owners have cats (47%). Some other pets include fish, turtles, rabbits, hamsters and birds. Clearly, there’s a number of you animal lovers who own more than 1 type of pet! So, we made sure that our GrabPet driver-partners are specially trained by a certified pet trainer to handle pets safely. Driver-partners are trained to handle different types of animals during the ride, read basic pet body language, and ensure safety if the behaviour of pets become an issue. The service also comes with insurance for pets, which is automatically included and takes effect once a GrabPet booking is confirmed. Remember the saying that it takes a village to raise a child? Well, it’s the same with pets, we reckon. Click here to book a GrabPet ride today!